1, Do you need a retro knitted sweaters when the weather is getting cool? 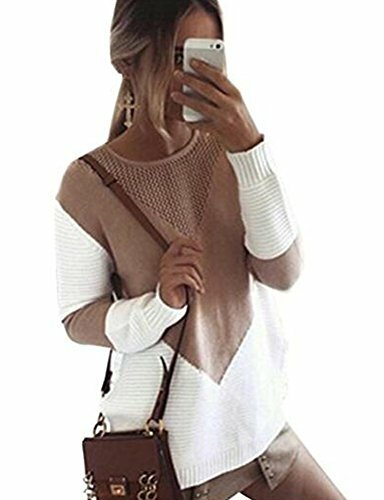 2,Women's Color Block Long Sleeve Crew Neck Knit Pullover Sweaters Good for Spring and Autumn , Party, Club or even Night Out. 3, This is an acrylic material cardigan sweater, Cold crewneck-sweaters Top, style with shorts, pants, skirts bottoms, make you fashion and stylish. 4, We have Camel, black. You can have a variety of color options. If you have any questions about this product by shermie, contact us by completing and submitting the form below. If you are looking for a specif part number, please include it with your message.